For the past few years I’ve been creating weird videos that (often) celebrate retro-computing with modern day low-power computing by making a Raspberry Pi connected to an old Apple display monitor play videos. You may remember Apple Watch and Apple Wait from past years of Maker Faire Milwaukee. I’ve struggled a bit with the process of using modern software to create low-resolution videos, and I’m sure there is more than one way to do it, but I thought I’d document my process so that the next time I do it I’ll have a simple guide to follow. 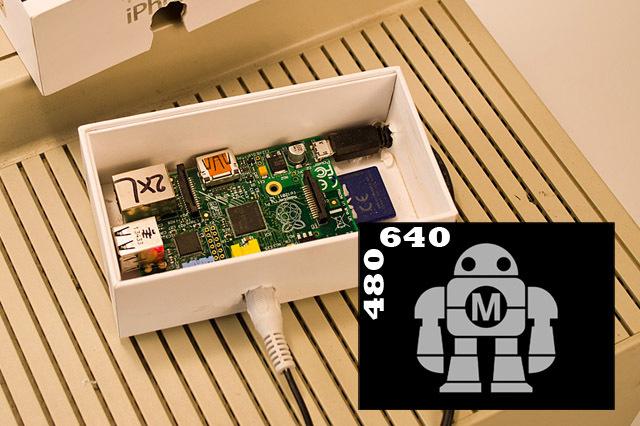 I’m calling this my “Guide to creating Standard Definition Video files for Raspberry Pi”. When I create a new video file in Final Cut Express (yeah, I’m still using it) I just pretty much assume I’ll want an HD version, so that’s what I create, even if I plan to have a standard definition video as my final output. 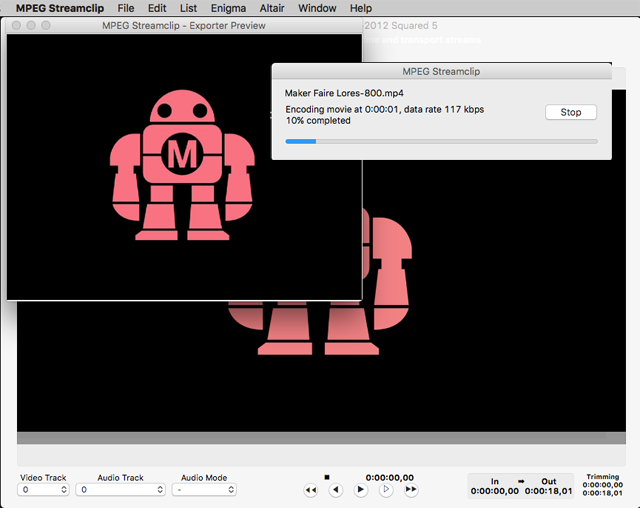 Video files get created at 1920×1080, also known as “1080″, for short. 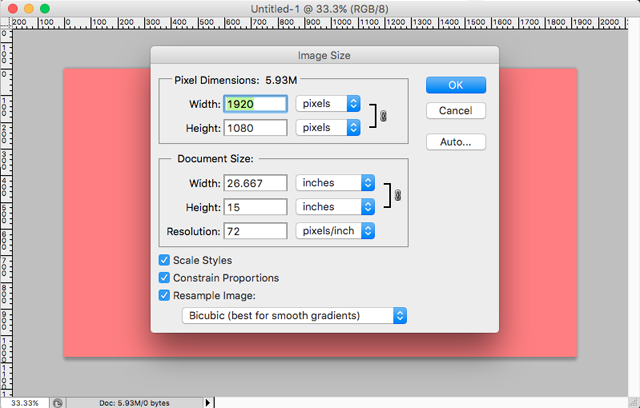 Let’s make a 1920×1080 file in Photoshop. 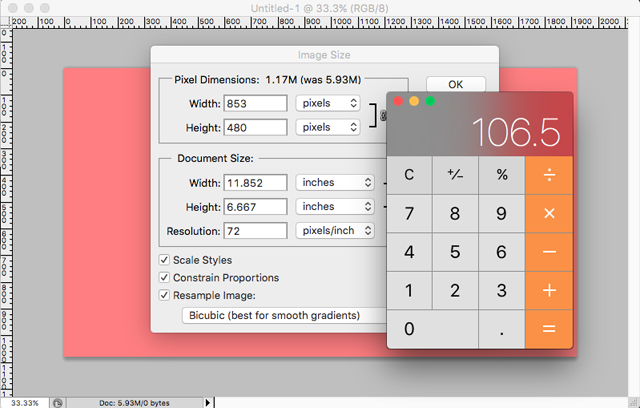 Divide that 213 in half and we get 106.5, but since we need an integer and not a floating point, we will use two numbers, 107 and 106. Those are the number of pixels we need to crop from our video file. 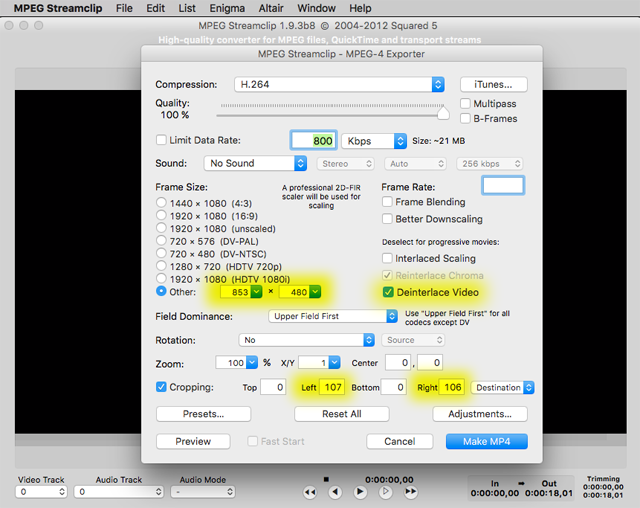 If the export preview from MPEG Streamclip looks wrong, you probably did something wrong. If it looks right, then you are probably in luck! 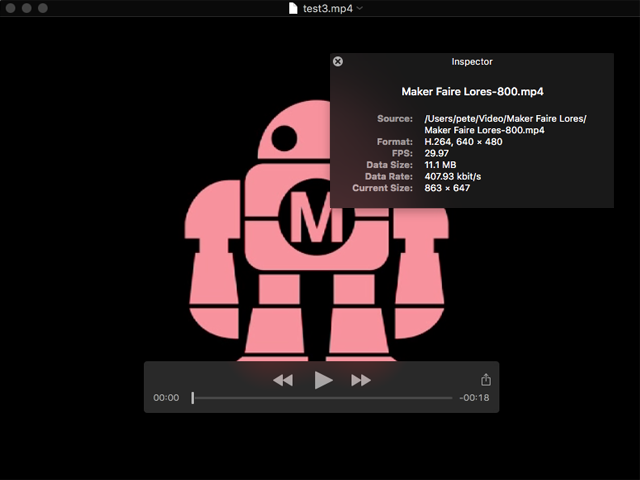 Once your MP4 file is saved, you can check it out. I open it with QuickTime Player to check the resolution. It’s 640×480, so everything is good. So now I’ve got a Standard Def 640×480 MP4 video file that is all set to be played on a Raspberry Pi connected via composite video to an old fashioned 4:3 video display. Posted on Sunday, August 26th, 2018 at 9:32 pm. Subscribe to the comments feed. You can leave a comment below. 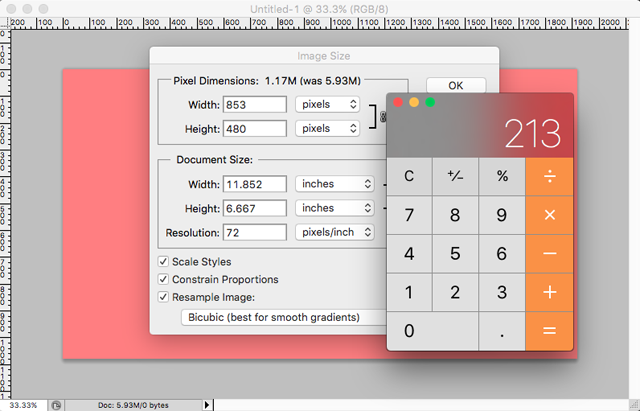 I’m curious — why not use HandBrake for the conversion? I’d love to see a step-by-step for Handbrake. I’d consider changing my process if there’s a documented example… The more the merrier!